Ms. Juanita Keever-Shook, 87, of Hickory, passed away on Wednesday, April 3, 2019 at Carolina Caring in Newton. 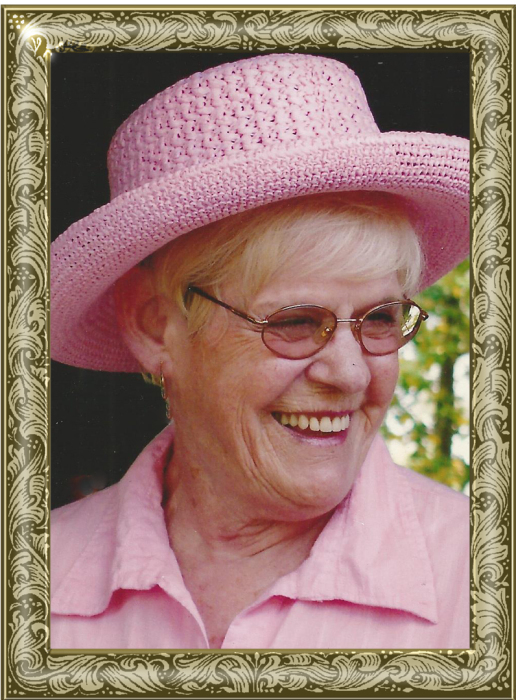 Juanita was born July 18, 1931 in Alexander County, the daughter of the late Truey Bowman and Omie Bowman Bowman. She had worked as a waitress and was a life-long member of Friendship Lutheran Church, where she taught Sunday school and was a member of WELCA. She enjoyed traveling with family and friends. Juanita loved people, she never met a stranger. Her church and family were very important to her. Including her parents, she was preceded in death by: her first husband, W. D. “Dub” Keever and her second husband, Marvin Shook; two sisters, Mary Ellen Hefner, Charlotte Sweet; a brother, Bobby Bowman. Those left to cherish and honor her memory include: her children, Wendelynne Pearson and husband, David, of Hickory, Darrell Shook and wife, Regina, Jeanne Beard and husband, Bill, Sandy Shook all of Conover, Randy Shook and wife, Nancy, of Taylorsville, Marla Massey and husband, Joel, of Troutman, Carla Greene and husband, Rick, of Hickory; grandchildren, Keaton Pearson, Kiley Pearson-Buchanan, Kerri Pearson, Brian Shook, Jennifer and Brian Hutchison, Angela and Randy Isenhour, Jeremy and Raegan Beard, Jana and Aaron Dimmette, Andy and Amy Shook, Becky Ward, Justin and Emily Massey, Sheena Massey, Chloe and Derek Crump, Seth Greene; great-grandchildren, Christopher Shook, Zachary Hutchison, Dylan Hutchison, Zane Isenhour, Abby Isenhour, Callie Beard, Carmen Beard, Emma Dimmette, Claire Dimmette, Brayden Shook, Logan Shook, Lexie Ward, Jackson Ward, Emery Crump. The funeral service will be held at 3 p.m., Saturday, April 6, 2019 at Friendship Lutheran Church. Pastor Greg Yeager will officiate. Burial will follow in the church cemetery. The family will receive friends from 1-3 p.m. prior to the service. Memorials may be made to: Friendship Lutheran Church Building and Improvement Fund, 5300 Church Road, Taylorsville, NC 28681. Adams Funeral Home and cremation services is honored to be serving the Keever-Shook Family.